Daniel Aubain (Guest Writer): Question: What does a fantasy baseball blogger without a blog do during the offseason? Answer: Guest write an article for one of his favorite baseball sites! For those of you who don’t know me, my name is Daniel Aubain and I used to run a fantasy baseball blog called Colorado Springs Fantasy Baseball Addict or COSFBA, for short. I recently decided to shut the site down and pursue other writing opportunities but the itch to write has been too strong to ignore. While I am currently working behind the scenes on a new venture, I wanted to take this opportunity today to highlight for you some topics of interest I’ve been or will be following this baseball offseason. Below is an A-to-Z guide of some of the key topics I am paying attention to this baseball offseason. Enjoy! A is for Awards: So Brett Gardner doesn’t win a Gold Glove (even though he was the best defensive player in all of baseball). Miguel Cabrera doesn’t get a Silver Slugger. And now the Baseball Writers’ Association of America is on Twitter. I’m very excited to see what November 14th through November 22nd has in store for the blogosphere. B is for Baseball: The most minor free agent news or offseason trade (see: Melky Cabrera for Jonathan Sanchez and Ryan Verdugo) trumps ANYTHING going on in the NFL, NHL (that’s still a thing) and the NBA (how much longer until this is no longer a thing?). C is for Closers: Fantasy baseball GMs know to “never pay for saves”. How come real GMs don’t know this? Ryan Madson possibly getting a 4 year/$44M contract offer from the Phillies? Good luck with that. D is for @DJAubain: That’s right. Shameless self promotion. Be sure to follow me at my new Twitter account name. The link is RIGHT THERE! E is for Exhibition Baseball: I hope all of you with the MLB Network were able to catch some of the Taiwan All-Star Series. It was a nice fix for those of us going through withdrawals after an amazing World Series. F is for FanGraphs: Any aspiring Sabermetrician or fan of advanced baseball statistics has to be familiar with FanGraphs by now, right? Well, why not support their work and show the world you’re a big baseball nerd by purchasing one of these fabulous t-shirts. I’ve got mine. G is for Gold Glove: I still can’t believe Brett Gardner didn’t win a Gold Glove. The mainstream media may love awards such as this (it even had its own television show this year) but those of us with any true understanding on how to measure “worthiness” with more than just web gems and name recognition are left scratching our heads more often than not. H is for Hot Stove: Free agent signings. Winter meetings. Blockbuster trades. What’s not to love about the MLB offseason? I is for Intentional Talk: I’m sorry, MLB Network. For all you do right in my eyes, this is your ultimate worst. I find this show unwatchable. It’s so bad it belongs on ESPN. J is for Jose Reyes: Reyes to the Marlins? Not hating it. K is for Keepers: Fantasy baseball GMs all over the country are anxiously discussing whether or not player X or player Y is worthy of being a keeper. I think it is absolutely crazy that some leagues have already required you locking in keepers. Wait until February or March to lock up keepers. It will make your league better. Trust me. L is for Lefty Specialists: Arthur Rhodes and Darren Oliver are both 41 years old, coming off of World Series appearances and free agents. Which GMs are going to overpay for 50-60 appearances and 40-50 innings pitched? I’m hoping the Yankees get one of these guys to replace Boone Logan. M is for Mystery Team: Nothing says offseason free agent signings like a good mystery team in the mix. Who will it be this offseason? N is for Nick Punto: Nick has a World Series ring. Ted Williams and Ernie Banks have zero. Just in case you were wondering. O is for Ozzie Guillen: Ozzie is now with the soon-to-be Miami Marlins and every Latin ballplayer is now rumored to be heading his way via free agency or trades. If only I understood a word he was saying in English. Don’t believe me? Check out his Twitter feed during the World Series. P is for Albert Pujols and Prince Fielder: How high are these contract numbers going to go and which teams are in the mix? The Yankees can’t sign everyone (in theory). It will be interesting to see where these top sluggers land. Q is for Carlos Quentin: With the Chicago White Sox discussing getting younger and cheaper in 2012, could Quentin be the type of player shipped out of town for a handful of prospects? We shall see. I hear the Marlins have money. Hmmmmm. R is for Realignment: Moving the Houston Astros to the AL West makes absolutely no sense. 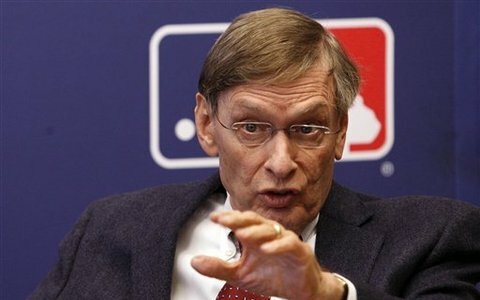 Thanks, Bud Selig, for the usual knee-jerk reaction to a problem. I’m a huge fan of a radical realignment based on true geographical rivalries. Forget the AL/NL thing. Screw the traditionalists. Make the DH optional. Create regional television networks. Let’s move this game into the 21st century already! S is for Sabermetrics: It’s not going away. It’s not made up of basement-dwelling bloggers. And it is definitely NOT ruining the game of baseball and how it is played on the field. It is a tool used to evaluate and measure the performance of players. Embrace it. T is for Twitter: If you’re not using Twitter, I suggest you check it out. It’s not Facebook. U is for UZR: Ultimate Zone Rating (UZR) is one of the most widely accepted defensive metrics available and yet Brett Gardner, the best defensive player at any position, doesn’t win a Gold Glove. Bitter much? Yes. V is for Vernon Wells: Just a reminder, Wells still has three years left on his contract at $21M per year. That is all. W is for Wilson Ramos: Kidnapped? Unreal. This is just a horrible situation. I hope this gets resolved quickly and without tragedy. We wonder why agents and players lie to escape other countries to come to America to play baseball. X is for X-Factor: No, not that horrible television show on FOX. 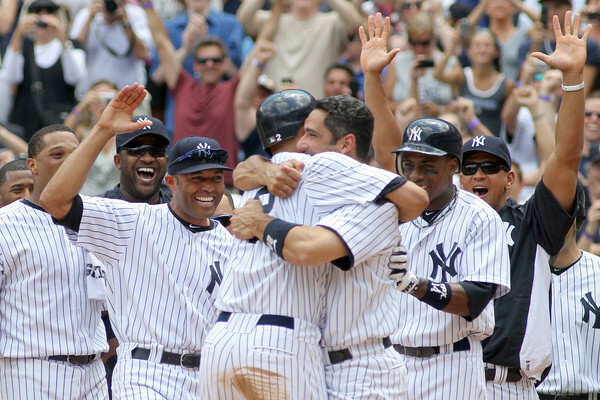 I’m talking about the intangible “x-factor” agents will be talking about their clients bringing to a team’s clubhouse. Jim Thome has it. Francisco Rodriguez doesn’t have it. Y is for Yuniesky Betancourt: According to the Bill James’ 2012 Handbook (and this tweet), Yuniesky has been baseball’s worst defensive shortstop over the last three seasons; costing his teams 46 runs. Keep that tidbit in mind as this Type B free agent lingers on the market. Z is for the AriZona Fall League: If top prospects are your thing, then you need to be paying attention to what’s taking place in ‘Zona (see what I did there?). Check it out online and be sure to follow it Twitter, too. Thanks to the great folks at MLB reports for allowing me the opportunity to share my voice with their audience. I truly appreciate it. Be sure to follow me on Twitter for updates on what the future has in store for me and all other guest posting articles I’ll be doing this offseason. Please e-mail us at: MLBreports@gmail.com with any questions and feedback. You can follow us on Twitter and become a fan onFacebook . To subscribe to our website and have the daily Reports sent directly to your inbox , click here and follow the link at the top of our homepage. 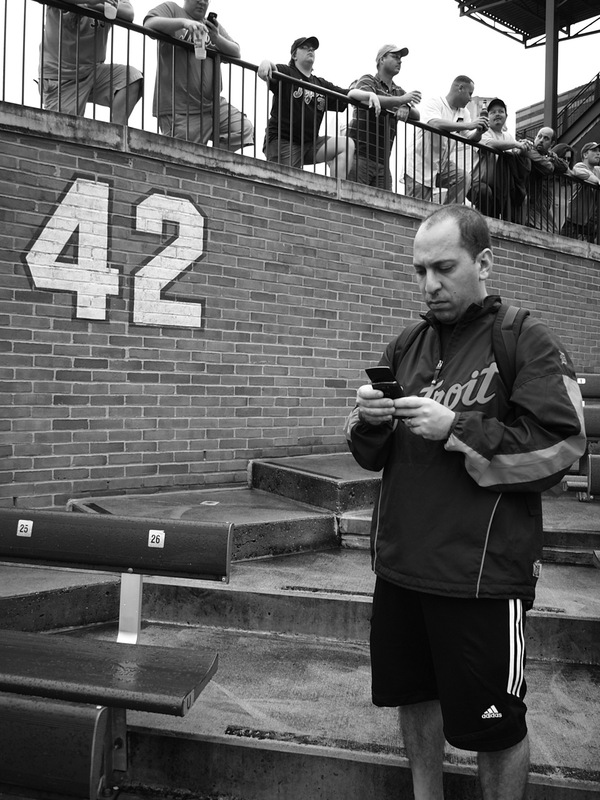 Jonathan Hacohen: While I get to interview many current MLB prospects and stars on the Reports, it is rare that I have the opportunity to talk baseball with a former great that I watched growing up. 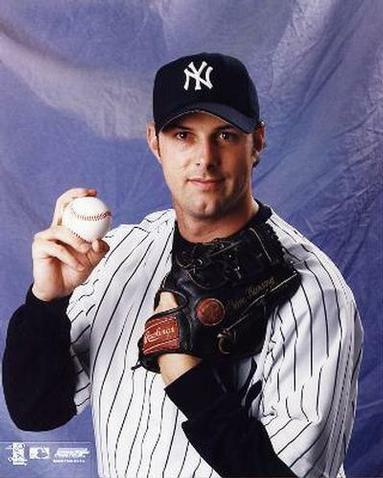 As a personal bonus to me, that chance recently came up when I was able to connect with Steve Karsay, former major league pitcher. 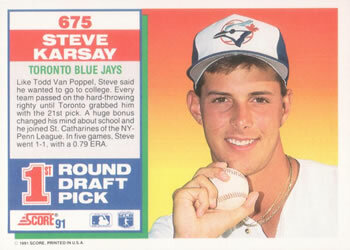 Steve was originally drafted by the Toronto Blue Jays in the 1st round (22nd overall in the 1990 draft). After being a part of the famed 1993 trade to Oakland for hall-of-famer Rickey Henderson, Steve played 11 major league seasons for 5 different squads. Steve played his final season in 1996. I reflected with Steve Karsay on his career, from his time with the Blue Jays organization, through to his final season. Steve was very candid in his responses and certainly did not hold back. For all the readers that grew up idolizing Steve Karsay and wondering about his future baseball plans- today you will receive your answers. MLB reports: Welcome to MLB reports Steve. Let’s start today’s interview from the beginning. A 1st round pick in 1990 with Toronto. What was the feeling when you got the call? Did you expect to be drafted by the Jays? Thoughts/feelings at the time? Steve Karsay: Wow! Going back a few years. That is correct- I was the 22nd pick overall in the 1990 draft by the Blue Jays. What a great time and what a great organization I was drafted by. The Blue Jays and their organization taught me so much to make me the player I was over my 16 year career. I will always be grateful to the Blue Jays organization and the coaches for the years I spent there. I did not know I was drafted until late in the afternoon for the fact that I was playing for my high school championship at Yankee stadium at the time. The feeling when I did receive the call was shock. I was not sure I was going to get drafted in the first round and had my sights set on going to LSU in the fall. But when it sunk in and realized the opportunity that I had and the feeling of shock turned to joy and excitement made the decision to sign and start my career in St. Catharines. MLB reports: You will forever be linked to hall of famer Rickey Henderson, being traded for him in July 1993. What was your reaction when you learned of the trade? Have you ever spoken to Rickey about it? Steve Karsay: First being traded at the time for Rickey was a great honor. I was only 21 at the time in 93′ when the trade happened so learning I was traded I had a mix of feelings. I was disappointed because I wanted to reach the big leagues with the team that drafted me. But realizing that I may get my opportunity to pitch in the big leagues faster, I understood that these are the things that happen when the big club is trying to position itself to win a World Series. After the trade I ended up making my Major League debut two weeks later against the Brewers at the Oakland Coliseum. So that is what made the trade worth it. As far as talking with Rickey, we had a brief conversation when he returned to Oakland the very next year. MLB reports: After being in the Toronto organization your whole life, what was it like joining the A’s and playing for them for three seasons? Steve Karsay: Being with Toronto for three years and going to Oakland was an adjustment, but for me was an easy transition. I enjoyed the A’S organization very much. Working with Dave Duncan and having Tony La Russa as my first manager was great. They were both mentors and I credit them for helping me transition to pitching in the big leagues. MLB reports: Injuries took a big toll on your career- especially your surgeries in 1995 and 1996. 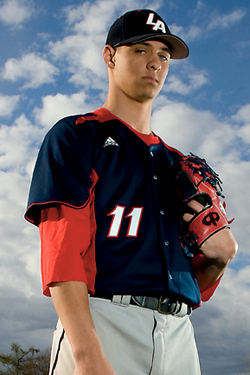 After undergoing Tommy John, did you think your career was finished? Give us an idea as to what the surgeries/rehabs were like and your road to continue playing baseball. Steve Karsay: To be quite honest I wasn’t sure what to expect. I knew I had had to have Tommy John and back in 1995, it was not nearly as perfected as it is today. So I knew there was a chance that I may never play at the big league level again. The surgeries were lengthy and the rehab tedious, but I always had the drive to get healthy and pitch in the big leagues again. I was never one to give up. It was a long three years but in the end to resume my career and compete at the highest level was an accomplishment in itself. MLB reports: Your career actually took off when you joined the Indians. Your four years in Cleveland represent some of your finest major league numbers. What was the secret of your success with the tribe? Steve Karsay: I guess if there was any secret to my years in Cleveland, it was that I was finally healthy. I had gone through some tough years with injuries and rehab and when I finally got traded in 97′ to Cleveland, I felt like I turned the corner and it was just all coming together. In Cleveland they decided to put me in the bullpen and really got into a nice niche of what I was really capable of doing. But ultimately I would have to say that the four years in Cleveland I was as healthy as I have ever been throughout my career. 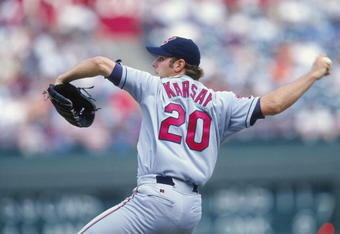 MLB reports: Aside from the occasional start, you became a full-time reliever in 1998. What was the process like to transition from starting to the pen? After coming up as a starter, how did you feel about becoming a reliever? Steve Karsay: As a starter you have routines and you know what days you’re going to pitch and who you are going to pitch against. As a reliever you just have to be prepared every day. The transition was fairly easy for me because I had some great mentors when I did it in Cleveland. Mike Jackson, Paul Shuey, Paul Assenmacher, and a few others, so I got to learn from some guys who tough me well. I wasn’t excited at first to become a reliever but it definitely grew on me and felt after having success in the bullpen that is where I was supposed to be. It also gave me a new found respect of how hard the bullpen is. MLB reports: You finished your career with 41 saves. Looking back, do you wish that you had more 9th inning opportunities- was the “closer” role something that you had in the back of your mind? 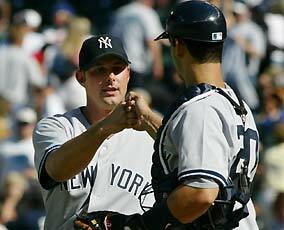 Steve Karsay: I was very fortunate to have the opportunity to be a closer for a bit in Cleveland and fill in New York when Mariano Rivera was injured. I always had the “closer” role in my mind but was never what drove me to play. I figured opportunities would present themselves if I pitched well enough. My saying was ”How well you are pitching will determine where you pitch in the game coming out of the pen”. When I signed as a free agent, I had the opportunity to go to a couple other clubs to compete for that job but chose to go to NY to set-up. At that point, winning was more important to me than closing. That was a tough choice I had to make. MLB reports: Your career ended in 2006, after pitching 9 games with the A’s. Why the decision to hang up the glove at that point? Any regrets? Steve Karsay: I have absolutely no regrets about my decision to retire in 06′. At that particular point, I was still having problems with my shoulder (after having surgery on my rotator cuff in 03′). I was pitching with pain and I felt personally like I couldn’t compete at that level with an injured shoulder. It was not fun any more coming to the ballpark, and I had always told myself that if I felt that I couldn’t compete at the highest level, I wanted to walk away from the game as a player on a respectable note. After retiring I had one last shoulder surgery to repair my rotator cuff for a final time. I came to realize that I was pitching with my rotator cuff torn the whole time in 2006. So looking back, I felt the choice I made was 100% correct. MLB reports: You pitched for 5 major league teams (A’s, Indians, Braves, Yankees and Rangers). Favorite team(s) that you played for and why? Steve Karsay: All of the teams hold a special place in my heart. I had great memories with all of them. I had the opportunity to meet and play with some of the best players in the history of the game over my career. I will always be grateful for the Blue Jays for drafting me and giving me the chance to start my career in professional baseball. Then the A’s for giving me my first shot in the Major leagues. The Indians is where I had my most productive years and had the chance to experience playoff baseball for the first time. Atlanta and playing for the great Bobby Cox. He is a player’s manager and a great man. Also having the opportunity to have great teammates in every spot that I played. Too long of a list to compile, but to name a few of the greats I played with: Mark McGwire, Dennis Eckersley, Ron Darling, Rickey Henderson, Jim Thome, Sandy Alomar Jr., Robbie Alomar, Omar Vizquel, Greg Maddux, Tom Glavine, John Smoltz, Chipper Jones, Derek Jeter, Roger Clemens, Andy Pettitte, Bernie Williams, Mike Mussina. I know I am probably missing many other great ones I played with. Overall, the experiences were priceless. It was the most exciting time in my life with the exception of the birth of my son Kingston. 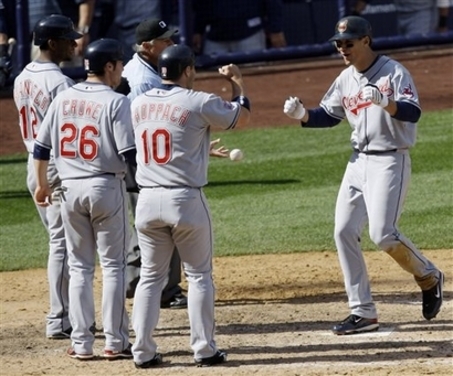 MLB reports: Do you still keep in touch with many of your ex-teammates- any ones in particular? Steve Karsay: I don’t keep in touch per say with them, but whenever I get the opportunity to see them when they come into town I always like to stop by the ballpark and say hello. MLB reports: Growing up so close to Shea Stadium, it must have been a dream come true to play in New York. Were you a Mets fan growing up- did you consider playing for them at one point? Steve Karsay: Growing up in NY and so close to Shea was great. I was a baseball fan growing up. I liked players more than I did teams. I watched both the Yankees and the Mets. I went to more Mets games as a kid because it was just a short train ride away. 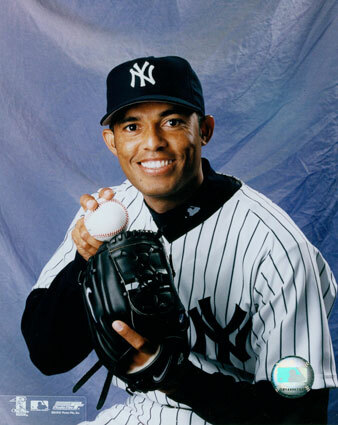 I never had the opportunity to play for the Mets over my career, but playing for the Yankees and the tradition of the Yankees was definitely a highlight of my playing days. MLB reports: Since you left the game, what has been life been like for Steve Karsay? What are you up to these days Steve? Steve Karsay: Life has been wonderful since retiring in 2006. After being able to have a 16 year career in baseball I wanted to step away from the game for a short time to pursue a few things that I was not able to do while I was playing- like travel and explore different countries. I also became involved in my friend’s company in Aerospace Manufacturing which has been exciting and to say the least interesting. And last but not least, the birth of my son which has been more work than all of the above. With that being said, baseball is my life and I am pursing opportunities to get back in the game in some capacity. The time off was great, but I want to be able to pass along the knowledge of baseball that I learned while I was playing and help young kids fulfill their dreams of hopefully getting to the big leagues. MLB reports: If you could give one piece of advice to a young baseball player trying to make it to the show, what would it be? Steve Karsay: My advice would be to work hard, be consistent, and do not take anything for granted because you never know when it will come to an end. MLB reports: Will we be seeing you in the future in the major leagues in another capacity, perhaps a broadcaster or coach/manager? Steve Karsay: I hope so. I am pursuing some things as we speak and would love to get back in the game in any capacity, either as a broadcaster, front office or on the field coach. Baseball is my passion and it what I love. MLB reports: Final question Steve: everyone at the end of the day wants to leave a mark on the game. What do you most want to be remembered for as a professional baseball player? Steve Karsay: Looking back I would want to be known for every time I stepped between the white lines I gave everything I had and I did not take anything for granted. I wanted to be the best player I could be when I stepped out on the mound. The fire for competition was always burning when I played. If I can be remembered for that, I would be very proud. MLB reports: Thank you very much for taking your time out of your busy schedule so we can have you with us. Much appreciated! Please e-mail us at: MLBreports@gmail.com with any questions and feedback. You can follow us on Twitter and become a fan on Facebook . To subscribe to our website and have the daily Reports sent directly to your inbox , click here and follow the link at the top of our homepage. Thank you for reading the E-mailbag. Please send all your questions to mlbreports@gmail.com and please include your first name and City/Country. We will be compiling a list of your questions from our e-mailbag and posting the responses on Wednesdays. 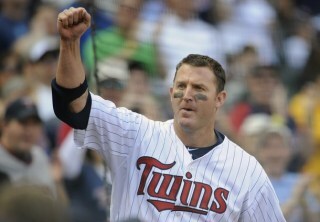 Q: Watched the Tigers / Twins game today ( Aug 15th ) and was happy to see my fave player, Jim Thome hit 600. I consider him one of the best home run hitters of all time. My question to you: Thome has done most of his damage as a DH and on non playoff teams. What are his chances to make it to the Hall Of Fame and if he does go in, what hat do you think he will wear? From Larry, Nevada. MLB reports: A great question Larry. I wouldn’t expect anything less from our #1 reader! Taking a look at Thome’s numbers, you may find a few surprises. Thome in his career has played 1102 games at 1B and 492 games at 3B. Thome did not become a full-time DH until 2006. Considering that he came up with Cleveland in 1991, I do not believe the DH role late in his career will affect him much, if any. The cloud of the steroid era may, as it seems that many big sluggers from Thome’s generation will have a difficult, if not impossible time getting into Cooperstown. But unlike Rafael Palmeiro, Barry Bonds and Mark McGwire, Thome is seen as one of the “clean” home run hitters of his generation. At 600+ home runs, a lifetime OBP over .400 and SLG over .550, I view Thome as a definite first ballot hall-of-famer. With 12 years and 334 home runs in Cleveland, I can guarantee you that Thome will go into Cooperstown as a member of your beloved Indians. 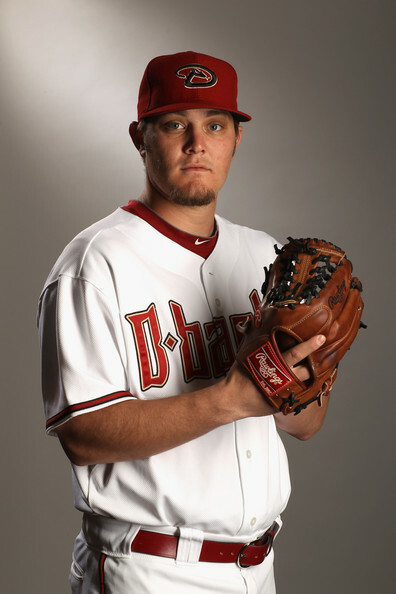 Q: Any insight on Wade Miley? From Joseph, Nashville. MLB reports: Great question, thank you Joseph. Wade was a 1st round pick of the Diamondbacks back in 2008 (43rd overall), after being drafted in the 20th round by Tampa Bay in 2005 and not signing. The 24-year old Miley is a 6’1″ left-handed starter in the Diamondbacks organization. Currently pitching in AAA after a recent promotion, Miley has a 3.64 ERA , to go along with a 4-1 record and 1.270 ERA. With this being his 4th season in the minors and showing steady development, it should come as no suprise that Miley got the call today as he has been promoted to the big leagues. With Jason Marquis on the DL, Miley may get a few spot starts for Arizona and at the very least, a spot in their pen the rest of the way. 2010 was a breakout season for Miley and despite some regression this year in AA, he has gotten better as the season has progressed. With the amount of pitching prospects in the Diamondbacks system, Miley will have a difficult time fighting for a rotation spot with the big club. Long-term I see him as trade bait for an organization that has room in its rotation for him or perhaps a bullpen role. He may yet develop into a solid #4 starter for the Diamondbacks, but at this point that remains to be seen. The future is still bright for Miley, but 2012 will be a big year for him in Arizona. We wish Miley the best of luck on his recent promotion, as he joins the first place Diamondbacks in the quest to win the NL West division this year. Q: Sorry if I missed it, but have you done a report on the Angels CF, Peter Bourjos? That kid can fly? From Craig, Texas. MLB reports: I answered this one briefly on twitter but wanted to elaborate. I have received many questions on Bourjos this year, but have not filed a report on him to-date. It was a calculated decision, mostly due to the fact that not many fans have asked about him outside of Anaheim. Looking at the numbers, Bourjos is a steady, but not spectacular hitter for the Halos. .271 AVG, .328 OBP, .416 SLG, 5 home runs and 15 stolen bases. 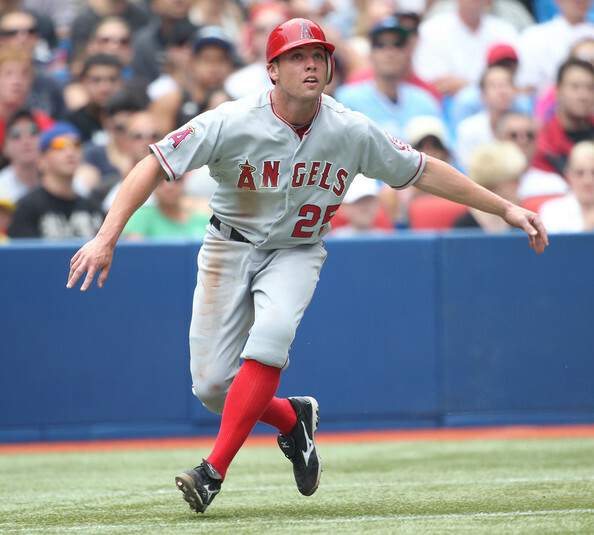 At this point, Bourjos is keeping a spot warm for future superstar Mike Trout. Originally a 10th round pick, the 24-year old Bourjos may blossom into a future superstar. But I have my doubts that will happen. Long-term I see Bourjos as a #4 outfielder on most teams, with the chance of becoming a good leadoff hitter if he can increase his on-base percentage. We will all continue to keep an eye on Bourjos, but be sure to keep expectations in check until a breakout occurs. Q: Do you think that the Indians are going to get a RH bat? If so, who? And do you think they are going to win the Central? From Martin, Cleveland. MLB reports: Let the Indians theme continue! Many solid questions Martin, I take it that you are a big supporter of the tribe. One of the biggest surprises of the week was Delmon Young moving to the Twins to the Tigers. Probably one of the better right-handed bats was passed over by the Indians to their division rivals in Detroit. By passing Young over, my gut feel is that the Indians are likely done tweaking their lineup. With the additions of Kosuke Fukudome and Ubaldo Jimenez, the Indians will go with their current roster for the most part in battling for the AL Central crown. There is a chance that the team may add one more depth player, but I do not expect any real player of consequence at this stage. As far as the AL Central race goes, it is a 3-team race between the Tigers currently in 1st place, the Indians 3.0 games back and White Sox 3.5 games back. This one is too close to call. I will admit that I am very partial to the Tigers and like their chances at this point. While the Indians seemed to be a team of destiny at the start of the year, the Tigers look to be prime for a division title led by Justin Verlander. The Indians end the season going up against the Tigers in Detroit, while the White Sox face the Blue Jays in Chicago. The AL Central will come down to the final week, with my money on Detroit to take it all. Q: Any news on Yu Darvish? Will we see him in North America next year? From Shane, Kansas. MLB reports: Darvish is represented by an agent (Arn Tellem) and at 25-years of age would be a prime addition to any major league team. There has been a debate in baseball circles whether his Japanese club, the Nippon-Ham Fighters will post him, which really boils down to Darvish wanting to leave Japan to come to the major leagues. Despite mixed messages I have read in his interviews, it sounds like Darvish is ready to make the jump (and pocket the large paychecks that will follow). 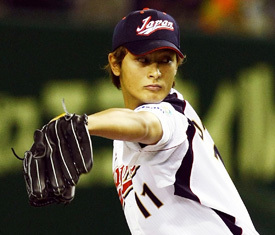 Expect Darvish to arrive in 2012, with at least 8-10 teams fighting for his services. The Yankees, Rangers, Red Sox, Blue Jays and many others will be fighting for his services. This one will simply boil down to which team is willing to pay the most and when Darvish is ready to make the change. As one of the best, if not the best pitchers not currently in North America, Yarvish should be an instant ace for the team lucky enough to land him. We will keep following this story and let you know as we have updates. Rob Bland (Intern- MLB Reports): Amongst all the madness that was the Draft Signing Deadline, I first have to say congratulations to Jim Thome for hitting the 599th and 600th home runs of his illustrious career. He is only the eighth player in MLB history to reach that mark. There were many signings that went down to the wire last night, and most players in the early rounds signed. There were five Major League deals signed from this draft. The Washington Nationals gave pitcher Matt Purke a 4-year, $4.4M deal out of the third round. 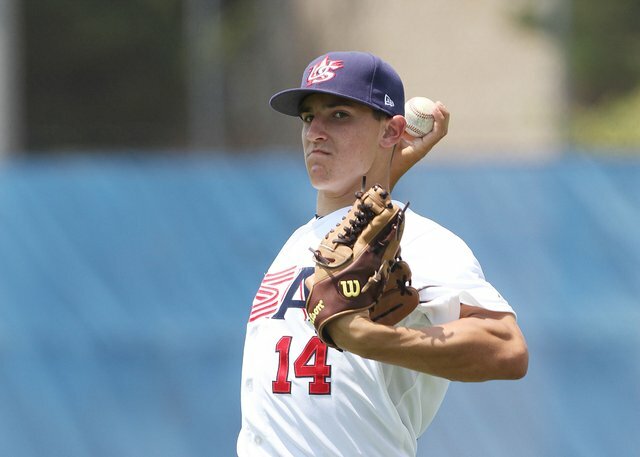 Second overall pick Danny Hultzen, the left-handed pitcher from Virginia University selected by the Seattle Mariners was given 5 years and a guarantee of $8.5M. It was previously reported that the Arizona Diamondbacks gave RHP and third overall pick Trevor Bauer a 4 year, $7M deal. High school pitcher Dylan Bundy was given five years and $6.225M from the Baltimore Orioles and Rice University’s Anthony Rendon was given four years and $7.2M as the most polished bat in the draft by the Washington Nationals. Top pick Gerrit Cole was given an $8M bonus by the Pittsburgh Pirates. However, there were three players in the first two rounds who did not sign, which will result in the teams who selected them receiving a compensation pick in next year’s draft. First of those was RHP Tyler Beede. Known to be extremely tough to sign, the Toronto Blue Jays selected him 21st overall. Beede’s talent alone could have taken him into the top 10 picks, but his lofty demands as well as his desire to play for Vanderbilt University dropped him down to the Blue Jays. It was reported that the final offer The Blue Jays offered was in the $2.3M range, but Beede did not budge from his demands. In a tweet from his Twitter handle @TylerBeede, he said “g-d has plans for me and that is college first.” Beede will look to follow in the footsteps of recent first round pitchers from Vanderbilt; David Price and Jeremy Sowers. Beede was one of my picks that would come down to the wire, and I said that it would take close to $3M to sign him. The Blue Jays will now pick 22nd in the 2012 draft. North Carolina State University will get their coveted catching signee, as the San Diego Padres were unable to sign switch hitter Brett Austin. 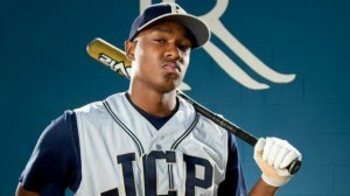 The first supplemental round pick, 54th overall, has plus speed for a catcher, being clocked at less than 6.9 seconds in a 60-yard dash. He has a quick release and routinely has a pop time (throwing the ball home to second as if a runner were stealing) under 2 seconds. 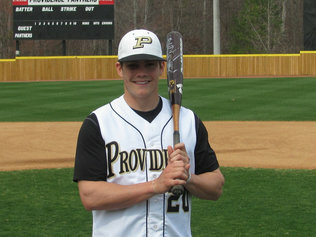 He has quick feet and a quick bat, although he has more bat speed from the right side of the plate. With the Padres already locking up catcher Austin Hedges for $3M, they felt as though Austin was expendable, and did not offer a contract near his demands. 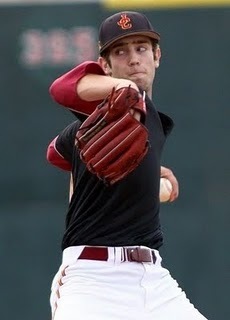 The Padres will choose 55th in the 2012 draft. When the New York Yankees selected college junior Sam Stafford in the second round, 88th overall, it was widely believed that the University of Texas Longhorns had lost their top two pitchers. Taylor Jungmann was selected 12th overall and signed with the Milwaukee Brewers for $2.525M. However, talks with the Yankees hit a snag over parts of his physical, and Stafford was never offered a contract around the slot value. Stafford was 6-2 with a 1.77 ERA in 81 1/3 innings this past season at UT. 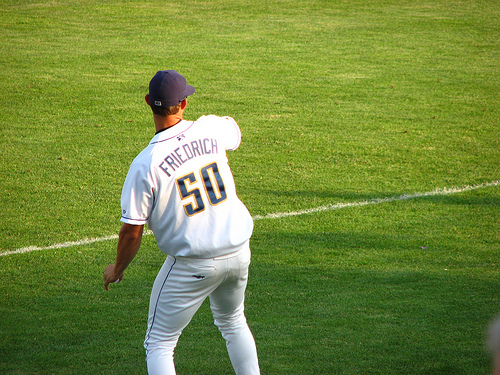 The left-handed pitcher has had consistency issues with fastball command, but pitches in the 90-93 mph range. His curveball and change-up are both works in progress and he shows flashes of plus potential in both. The Yankees will select 89th in the 2012 draft. The biggest surprise to me was that the Pittsburgh Pirates were able to sign Josh Bell. It did not take a Major League contract, and only $5M to pull him away from the University of Texas. This was much less than originally predicted, and his huge demands seem to have just been posturing. The Pirates signed both of their top picks for a total of $13M, which in itself would have been the most money spent by one team in draft history. Other notable signings were second round pick LHP Daniel Norris of the Toronto Blue Jays at $2.5M, 14th round pitcher Dillon Maples of the Chicago Cubs at $2.5M, and 6th round catcher Nicky Delmonico of the Baltimore Orioles at $1.525M.